It’s the NBA playoffs season again, and I watched the two games between Phoenix Sun and San Antonio Spur lately. As you may know, I am a big fan of Phoenix Sun/Nash. But they disappointed me again this year: they lost 2 games in a row. The main reason is that Phoenix is pretty much a one-dimensional team: a fast tempo, “Nash passing, Stoudemire dunk” team. After the Spurs sealed the ball from Nash to Stoudemire, Suns lost its touch. I did not see meaningful contributions from other key players (Diaw, Barbosa, Bell), and Shaq is just a bit too old. So what’s my point? In the NBA, the team with the best balance of offense and defense wins (if we exclude referee, luck factor). A team can not win the championship simply by one strategy, one super star,…they need the supporting cast, the defense as well as offense. Back to the investing. 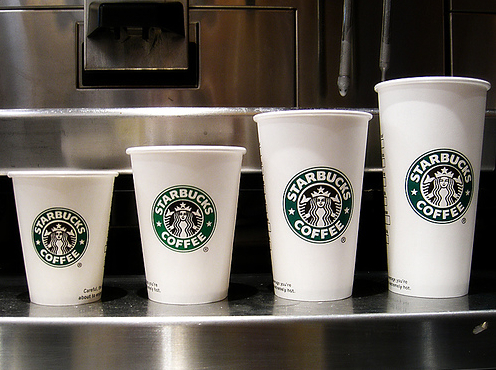 Yesterday we saw a huge disppointment from Starbucks (Nasdaq:SBUX) earning report. It says “it experienced the worst consumer enviroment”. While I agree SBUX was hurt by the high gas and milk cost, I think the real problem with Starbucks is its one product business model: coffee. When the McDonald (NYSE:MCD) and Dukin Donuts started to offer espresso coffee at a lower price, and the consumers are pinched at gas pump and grocery (notice rising food price lately), $3 or $4 espresso is the first thing to go. Similar argument can go against the Crocs, it basically is a fashion shoes maker, when the fashion is gone, so is the company stock. So, can we say restaurant and retailer do not have moat in general? This is certainly no. Think McDonald and Wal-Mart (NYSE:WMT). They are doing well in this tough economy. One thing I noticed: we got to eat. For some people, they got to eat out, e.g., I saw the clean ladies in my companies always have some sort “to-go” food from McDonald, Burger King, etc. On a higher level, I know McDonald is growing fast on its breakfast offerings. As to Wal-Mart, it obviously benifit from the high gas cost because people want to save money on daily stuff there, and they can get shopping done in one stop (gas saving).